Wow! Can't put this down for one second. What a beautiful book. I love these books, the whole series! Francine rivers has a way of letting the best come out in almost all her characters! Love this book and the entire series! I kept thinking of the characters when the series was over and wondering about them as if I knew them personally. I wish the series would be adapted into a movie. Fantastic book! 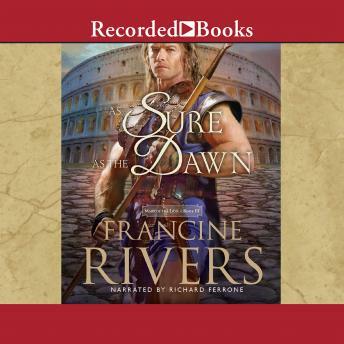 I love Francine Rivers books and how she brings Gods love out to all people!! Love this series. By far my all time favorite and I loved hunger games and Enclave. Liked divergent. This is a great series for teen girls!